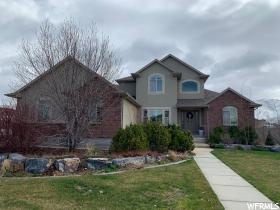 All Stansbury Park homes currently listed for sale in Stansbury Park as of 04/23/2019 are shown below. You can change the search criteria at any time by pressing the 'Change Search' button below. 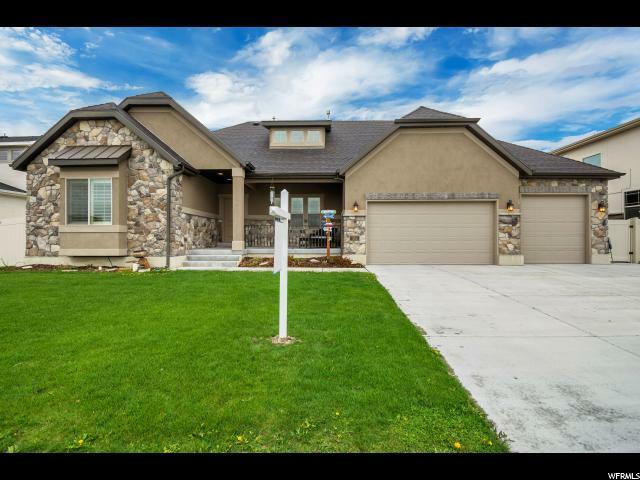 If you have any questions or you would like more information about any Stansbury Park homes for sale or other Stansbury Park real estate, please contact us and one of our knowledgeable Stansbury Park REALTORS® would be pleased to assist you. "This amazing home must be seen. It includes a huge open floor plan with a gourmet kitchen featuring stainless appliances and quartz tops. The grand master suite includes a walk-in shower, soaking tub, dual vanity and a large walk-in closet. The lower level bedrooms and family room are very large and there is a ton of storage. MUST SEE!!!" 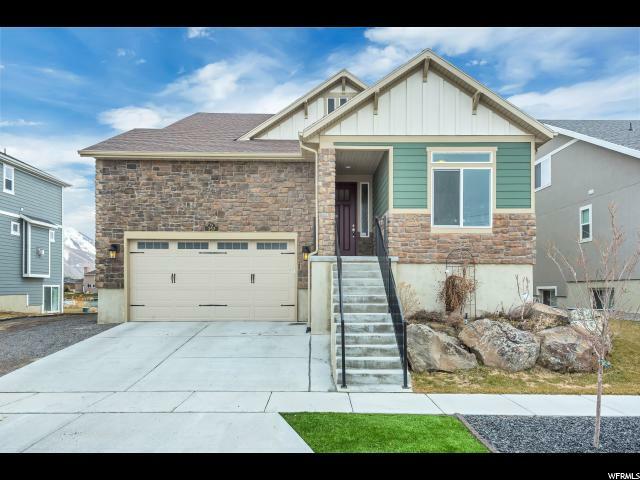 "Come and take a look at one of the most unique subdivisions in Utah. Enjoy your own private beach on boatless wakeboarding lake just minutes away from downtown salt lake. This a gated community with some amazing amenities The community beach area has a children's play area along with a walking biking path around the lake. Use one of or existing plans, Bring your own plan or have one designed by our home designer - It's time to Play!!" "MOTIVATED SELLER! PRICE REDUCTION Custom Home ON THE LAKE!!!!!! with Private dock. This home is a must see! Located on a corner lot. 9 ft. basement ceiling, granite throughout, double oven and custom touches throughout. Private Dock with beach area and fully fenced yard. Plenty of room with 7 bedrooms and several living spaces 2 fireplaces, along with a walkout basement. 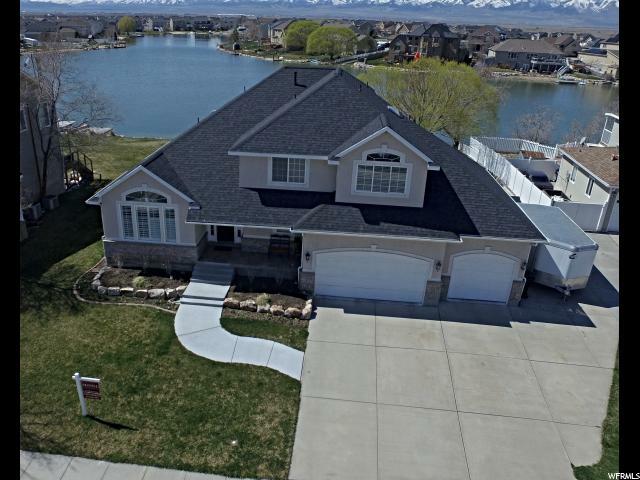 If you have been wanting a home in Stansbury Park on the water this one is for you! Square footage is estimated and needs to be verified by buyer!" "This amazing craftsman style home is amazing. It includes a custom kicthen with upgraded stainless appliances, huge great room, grand master suite, high ceilings, main floor master, oversize 3 car garage and much much more. MUST SEE!!!" "Symphony Model Home now available. This home has it all. Must See!! 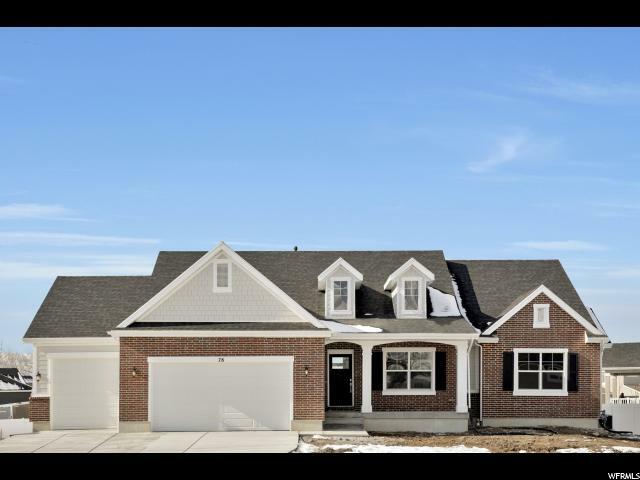 Includes an oversize 3 car garage, grand master suite with a sep. tub/shwr, walk-in closet, gourmet kitchen with double ovens, gas cooktop, quartz tops and and under-mount sink, huge great room and much much more. Schedule a tour today!" 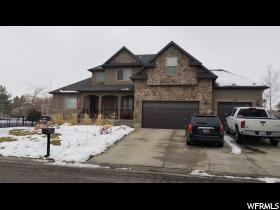 "You will love this delightful 2-story home with fully finished basement located in Ponderosa neighborhood of Stansbury Park. 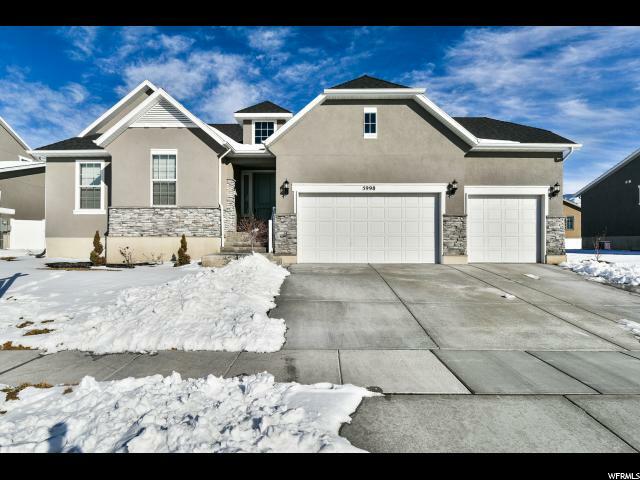 This 6-bedroom, 3.5 bath home has a 3-car garage - giving you over 4000 sq. ft. of spacious elegance, new laminate hardwood flooring throughout the main level, open plan great room & kitchen. Imagine cuddling up to the cozy fireplace with a good book. Home boasts plantation shutters, custom cabinets, granite counter tops, main floor master with washer/dryer in grand master suite. Every night enjoy spectacular sunsets and drift off to sleep to the subtle sounds of nature on this half acre lot. Basement has an extra large family room with kitchen for entertaining or a mother-n-law suite. Home has lots of storage space including the basement extra large storage room, garage and shed. Fully fenced back yard, faux stone fencing, fully landscaped perfect for gatherings and nights around the fire-pit. Side gate entry for RV/boat/etc. All of this situated in a convenient, friendly neighborhood built on care and concern for each other with outstanding schools and community amenities that include golfing and a local lake where you can enjoy water sports such as paddle boarding, canoeing, kayaking etc and fishing. Make your appointment today! " "*** AMAZING LAKEFRONT HOME WITH GORGEOUS VIEWS, PRIVATE DOCK, AND SEPARATE MOTHER IN LAW APARTMENT ** It doesn't get better than this location. In a cul-de-sac, right on the lake. Well cared for 2 story house. Spacious family room. Formal dining room. Kitchen / dining room overlook the lake. Den/office or main floor bedroom. Upstairs has master suite along with 3 other bedrooms and another full bath. Master bedroom is HUGE, with large bathroom, separate jetted tub and shower, and walk in closet. Private deck off master. Behind the garage is a lakefront mother in law detached apartment with 1 bedroom and unfinished basement. This is totally separate from the main house, and has its own private deck overlooking the lake. Home faces south west (best it gets) so backyard is shaded in the afternoons. Storage shed and RV parking. Gas fireplace in backyard. This house is a dream! (Square footage figures are provided as a courtesy estimate only and were obtained from prior MLS listing . Buyer is advised to obtain an independent measurement.)" "Lake Location! Lake Location! 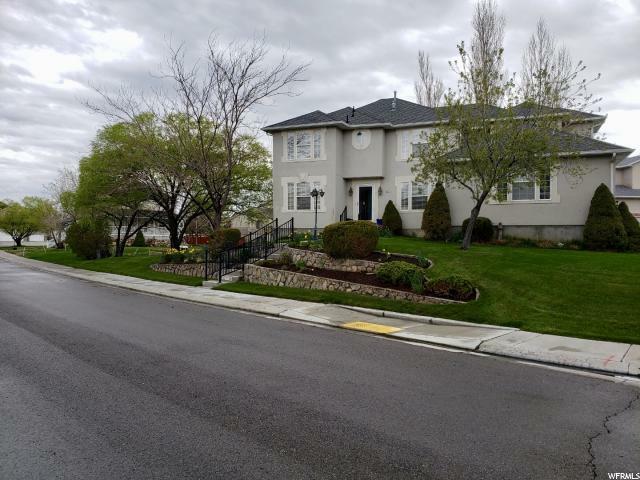 With one of the most expansive and unobstructed lake and mountain view lots in Stansbury Park. This is also one of the few lake properties that not only has water frontage but has useable lake access with your own private sandy beach! Attractive designer colors and finishes throughout this dream home. Beautiful flooring and gorgeous tile work. Multiple private areas to relax, from above it all on your back deck, to your fully finished walkout basement with plenty of storage, to your peaceful oasis found on the second floor. Notice the lovely island that works perfectly for entertaining and a well appointed kitchen that is the heart of this home. This smart find is sure to please, Come and See!" "This is BETTER than new construction! Fully completed with $60,000 in upgrades. It shows like a model home. Free up your Saturdays. Who needs a huge lot to mow, maintain, and water when there is an incredible park across the street that someone else mows and maintains. This one is a can't miss with everything you've dreamed of at a fraction of the price! Don't miss the OPEN HOUSE !!" "The Home you've been waiting for! Large lot ON THE WATER! Home has been kept up to date well with newer kitchen, and master bath. Recently refinished wood floors and main floor painted. Huge garage with included lift! Can easily park 5 cars with one on the lift. Sellers are leaving canoe, wind surfer and ice skates so you can enjoy the water in your backyard from day one! This is a must see! Square footage figures are provided as a courtesy estimate only and were obtained from County Records. Buyer is advised to obtain an independent measurement." "PRICE REDUCED- WILL LOOK AT ALL OFFERS! Spectacular Nearly New Lake Side Rambler W/ Panoramic Views & Private Dock! Low Maintenance Xeriscape Yard! Open Concept Floor Plan * Inviting Kitchen W/ Island Features Modern Cabinetry, Granite Tops, Stainless Steel Appliances & Subway Tile Back Splash * Great Room W/ Distinct Architectural Elements, Soothing Gas Fireplace & View Windows Lead to Large Entertaining View Deck Overlooking Stansbury Lake * Master Suite Offers Double Vanity, Granite Tops, Oversized Euro-Glass Shower & Walk-In Closet * Bonus Room * Walk-Out, Daylight Lower Level Offers Second Family Room, Wet Bar & Covered Patio Access * Main Floor Laundry * Whole House Water Filtration System & Reverse Osmosis Water at Kitchen Faucet & Refrigerator Ice Maker * Ideal Home For Indoor & Outdoor Gatherings * Pergola W/ Swing That Overlooks The Lake W/ Fire-Pit at Private Beach* Garden * RV Parking * Seller is willing to give a sod allowance if grass is preferred over garden. 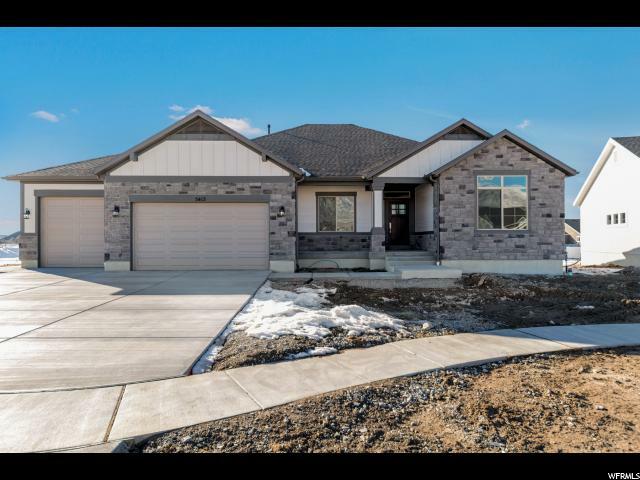 See Agent Remarks For Showing Instructions"
"This beautiful fully finished home sits on a half acre lot in the highly desired Ponderosa Estates Subdivision in Stansbury Park. 30 min from SLC. This home is on a corner lot right next to the park, so in addition to the beautifully landscaped yard you also have a park connected to your property! Imagine all the fun barbecues and outdoor parties you could have with the large stamped concrete covered patio wired for an outdoor TV, basketball court and more. Thats not all though, this home has many interior features to be desired. Beautiful hardwood floors, plantation shutters in the entry, built in desk area in the bedroom, spacious kitchen with two pantries, fully finished basement with an additional kitchen area, wired for theater room, a second master bedroom and plenty of storage closets. Schedule a showing and come see for yourself!" "THIS BEAUTIFUL HOME CHECKS ALL THE BOXES! COMPLETELY FINISHED WITH SIX BEDROOMS. NEWLY FENCED AND FULLY LANDSCAPED. UPDATED AND REMODELED INTERIOR WITH QUARTZ COUNTER-TOPS, NEW PAINT, FLOORING, SMART THERMOSTATS THROUGH AT&T, AND THE LIST DOES GO ON! THE LAYOUT IS OPEN AND LIGHT WITH A NEARLY PERFECT USE OF SPACE. THREE CAR GARAGE. CONCRETE PATIO OUT BACK. 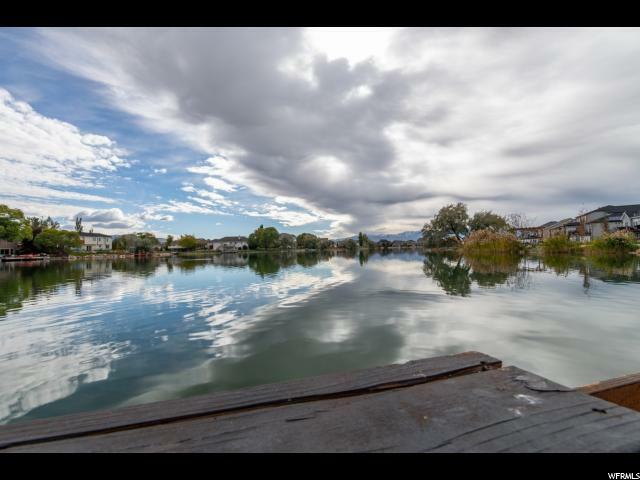 IF YOU ARE NOT FAMILIAR WITH STANSBURY PARK, THE COMMUNITY COMES WITH ITS VERY OWN LAKE, GOLF COURSE, CLUBHOUSE, SWIMMING POOL, STAR-GAZING/OBSERVATORY COMPLEX, AND SOCCER/ BASEBALL FIELDS. ***ALL information including square footage and measurements are deemed reliable but not guaranteed. Buyer is advised to obtain their own measurements and complete due-diligence. " 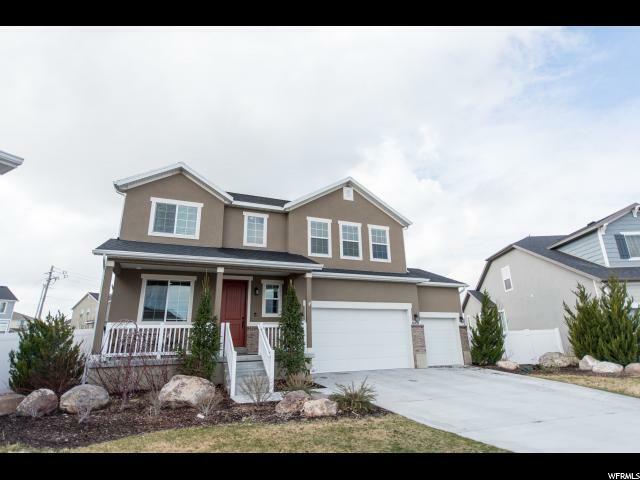 "Come check out this stunning previous model home with a huge 2-story floor plan in Stansbury Park. The Sunbrook is 4075 sq ft, 4 bed, 2.5 bath, 3 car garage. Granite through out and laminate hardwood floors through out main living. 9' ceilings on main living area, craftsman elevation, and so many more upgrades. Unfinished basement with room to grow. 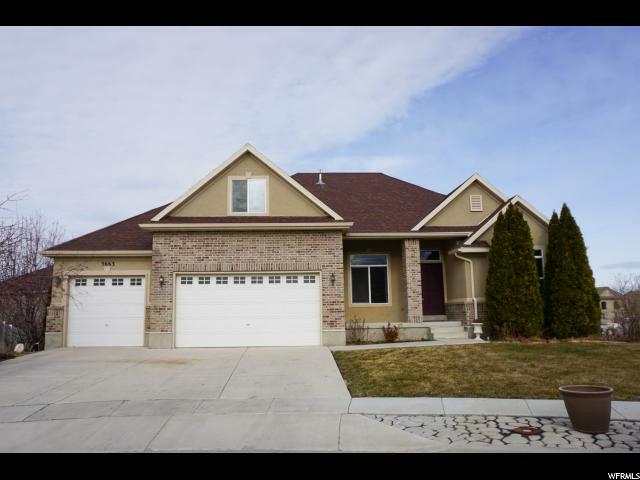 Across the street from Stansbury Lake and direct access to Porter Way Park." "Beautiful perfectly designed former model home! Cook in the open concept kitchen with double ovens and gas counter top range. Great for entertaining as you can spill out onto the covered deck anytime of the year. Retreate into the large master bedroom with seperate tub/shower and spacious walkin closet. Tons of upgrades extra tall ceilings on main level and basement, treceilings upstairs, extra tall doors throughout house, located on a cul de sac, huge fully fenced back yard, wired speakers throughout, hard wood floors, granite countertops, 3 car garage, lots of storage, main level office/den. 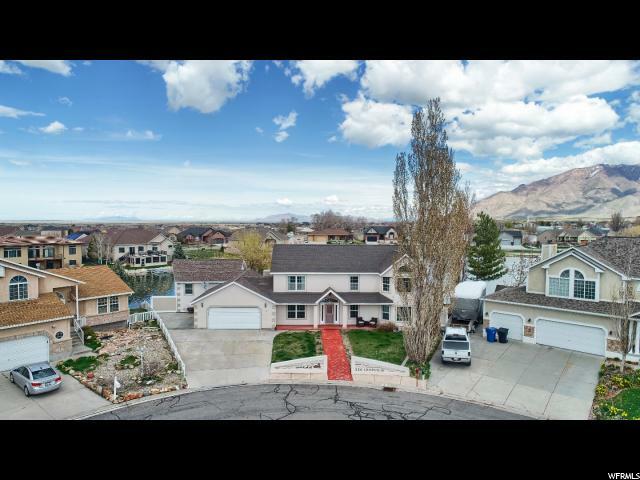 Close to schools, parks, shopping with great mountain views. Square footage figures are provided as a courtesy estimate only and were obtained from appraisal . Buyer is advised to obtain an independent measurement." "Situated in a quiet cul-de-sac, this expansive home has a large kitchen, formal dining, formal living and office, hardwood floors, 18' ceilings and large covered front porch. Covered deck great for entertaining with amazing mountain views. Massive master bedroom with large walk-in closet. New water heater and dishwasher. Large backyard with a fenced vegetable garden housing raised beds. Enjoy fishing, swimming and kayaking at Stansbury Lake 5 minutes away. Just 30 minutes from Salt Lake. Square footage figures are provided as a courtesy estimate only. Buyer is advised to obtain an independent measurement." 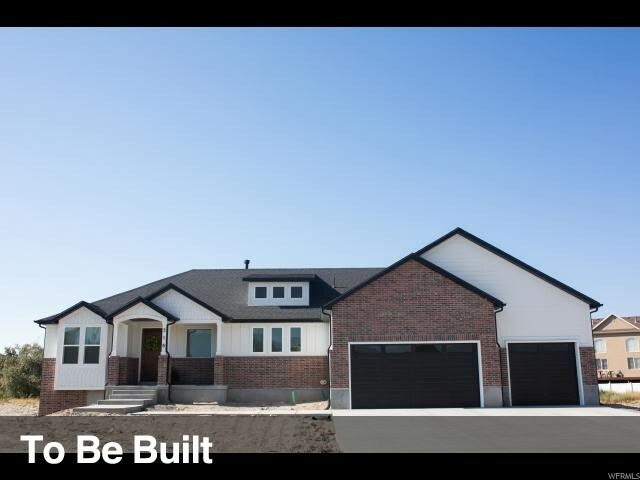 "*Perry Homes Linden Plan* THIS PLAN IS AWESOME! QUICK MOVE IN! HOME JUST NEEDS CARPE, APPLIANCES AND FINAL FINISHES. Home features are: 3 Car Garage with 9' height 3rd Car. 14X18 covered patio with can lights. Tile in all wet areas. Chefs kitchen with double ovens and gas cooktop. knotty alder cabinets, Large kitchen island. Quartz countertops, Laminate wood in kitchen and hallways. Carpet in family room and bedrooms. 5 base and case. Tile fireplace. Soft water rough in, Heat tape eave outlet. Two tone paint, Elongated toilets, Brushed nickel hardware, 5,000 sq. ft sod included. Price of home subject to increase as building progresses. Call agents for other specs and lots available." "This amazing home is loaded with custom features! 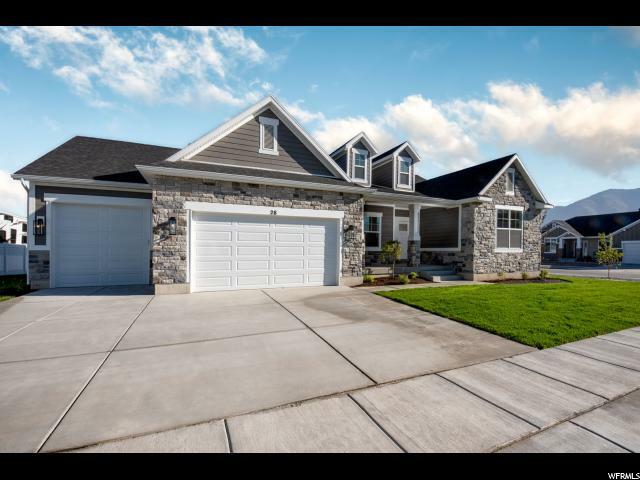 If you want a HUGE garage that doesn't look like it, this home is perfect! It includes a custom kitchen with stainless appliances and granite tops, a grand master suite with tons of windows, large walk-in closet, oversize shower and large soaking tub. MUST SEE!!!" 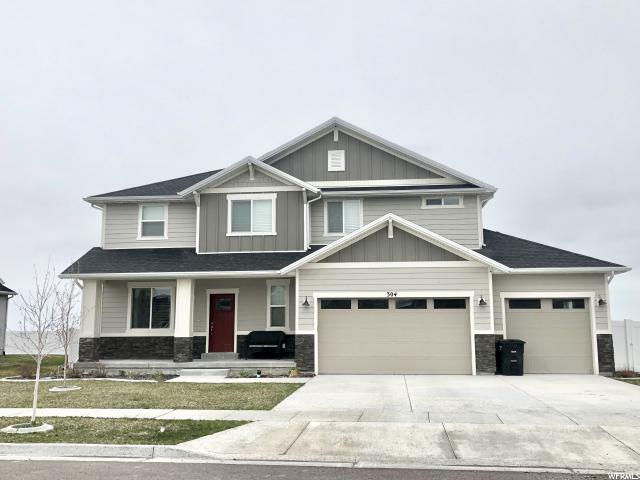 "Outstanding curb appeal on this newly updated Rambler in a quiet cul-de-sac in Stansbury Park and there's plenty of room to grow! 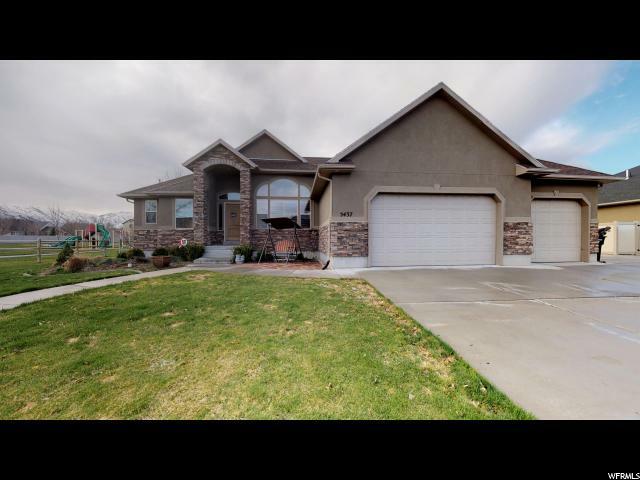 This sprawling home offers 3 bedrooms on the main floor and a gigantic bonus room over the 3 car garage. A large office/den greets you as you enter, featuring beautiful french doors. Enjoy the spacious and open feeling created by high, vaulted ceilings in the kitchen and family room that seamlessly flow together. Discover the gas fire place, secluded master suite which includes a walk-in closet, en suite with double vanities, granite tops, a brand new soaking tub, separate shower and a separate toilet compartment. Laundry is on the main level. Custom landscaping and drip system. Just minutes from transportation, schools, parks, dining and shopping. Come fall in love with this well appointed, beautifully updated home with new carpet, new paint, new granite counter tops, new stainless steel appliances and experience for yourself the gorgeous sunsets from the spacious and new rear deck! Square footage figures are provided as a courtesy estimate only. Buyer is advised to obtain an independent measurement." "LAKEFRONT property with wrap around deck, pergola, and walk out basement! 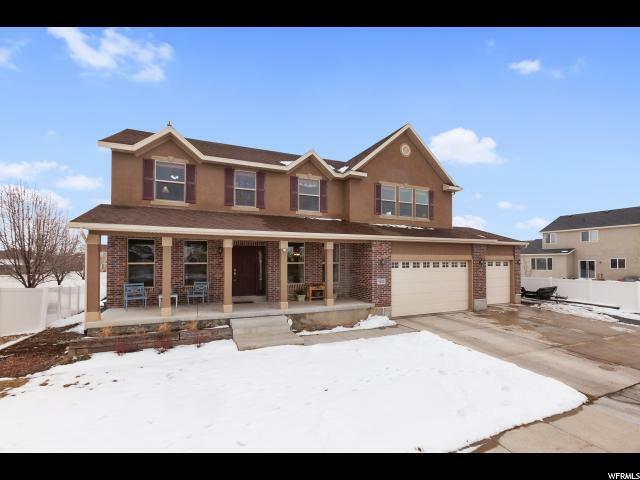 Large master suite with lots of windows overlooking the lake, jetted tub, and HUGE walk in closet, 3 car garage, office, formal dining, large walk in pantry and laundry room, new water heater, two newer furnaces, great cul-de-sac location, a MUST SEE! One upstairs bedroom has no closet. Square footage figures are provided as a courtesy estimate only and were obtained from county records. Buyer is advised to obtain an independent measurement." "Beautiful brand new Alpine Traditional home plan! Great community near parks, lakes, schools and more! 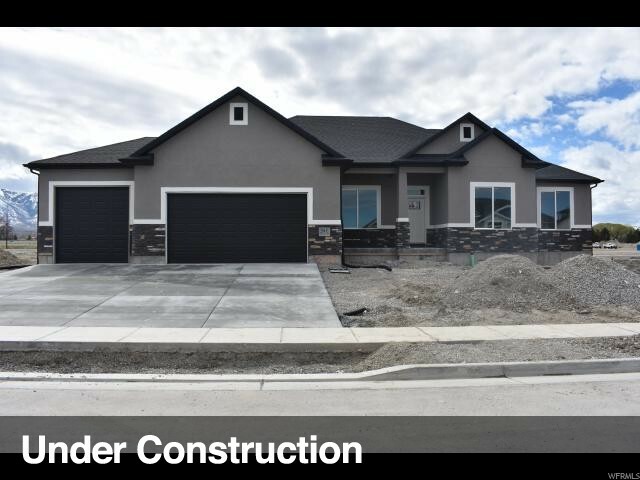 So many amenities such as 3 car garage with 8 foot doors and exit door, maple cabinets with trim and hardware, stainless steel gas appliances, quartz kitchen counters, tile accent surrounds in bathrooms, 2 tone paint, textured walls, small modern base and casing, laminate flooring and much more! A must see!" 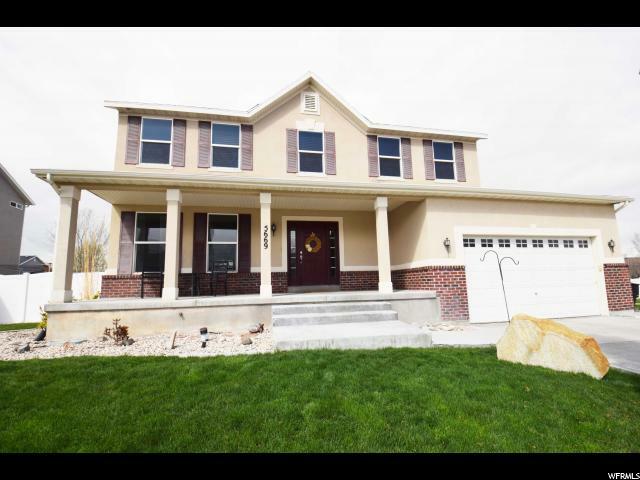 "You must see this magnificent 6 bedroom home in Stansbury Park. Located on a quiet street and walking distance to the lake. 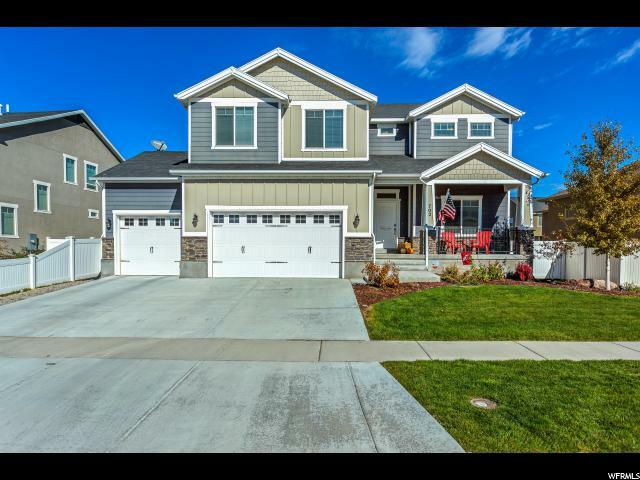 This neighborhood offers an awesome trail system behind and in between the homes providing a good family friendly environment. This home has a completely finished basement with a true MOTHER-IN-LAW APT. A Separate basement entrance, room for a stack-able W/D, and a Full Second Kitchen. You will have plenty of room to park with the extra large RV pad. The open and spacious floor plan is perfect for entertaining. This home is so classy with its granite countertops, real mahogany wood flooring, large square tiles, and so much more. Outside you can enjoy an evening on the oversized TREX deck with gas ran for the BBQ, and a sink for quick clean up. Mature fruit trees including Asian Pear Tree, Pear Tree, Apricot Tree, and more. You have got to see this impressive home. So much better then new. Clean, Neutral...just add your own touch and enjoy. " "Better than new with over $20K of upgrades on lawn, sprinkler system and shades! Beautiful Rambler with open floor concept with 9ft ceilings; a modern kitchen with maple cabinets, an island, two pantries and SS appliances; a large master bedroom with a large walk-in closet and a really nice master bathroom with separate tub and shower; a mudroom; central A/C; an unfinished basement with space to finish 3 bedrooms, one bathroom and a family room (mother in law apartment); a great backyard with vinyl fence and a sprinkler system that can be controlled from your cellphone; and the list keep going! "